Beneges Lift SupportsBeneges devotes itself to automotive aftermarket, exporting kinds of aotomotive parts to global markets. Beneges attaches much importance to products quality, strictly with raw materials selection, manufacturing process, qualified with QA and QC. Beneges lift supports meet OEM specifications, and also come to be cost-effective and conveniently practical. 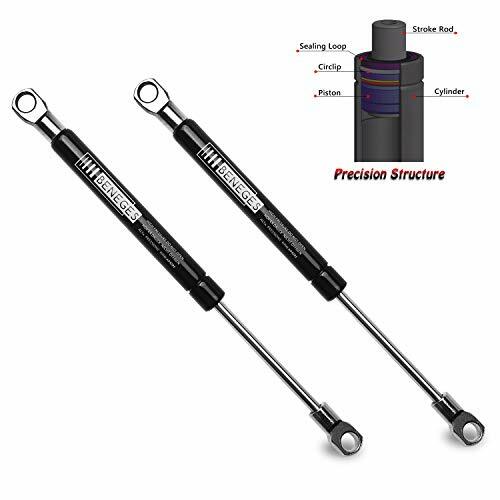 The lift supports(lift struts, dampers) can be placed at front hood, rear hood, liftgates, tailgates, rear window, truck, hatch, tailgate assit, storage box and so on, etc.Fits Universal Lift Supports Struts.Extended Length: 10.00 InchesCompressed Length: 6.74 InchesForce: 267N=60Lbs.Shaft End Fitting: Eyelet Hole=10.2mm=13/32"=.402"Body End Fitting: Eyelet Hole=10.2mm=13/32"=.402"
Beneges Lift SupportsBeneges devotes itself to automotive aftermarket, exporting kinds of aotomotive parts to global markets. Beneges attaches much importance to products quality, strictly with raw materials selection, manufacturing process, qualified with QA and QC. Beneges lift supports meet OEM specifications, and also come to be cost-effective and conveniently practical. 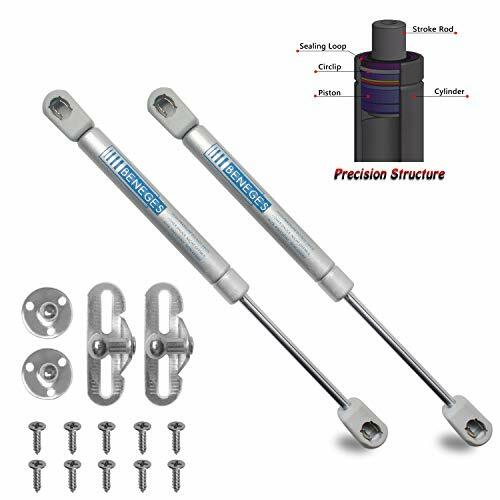 The lift supports(lift struts, dampers) can be placed at front hood, rear hood, liftgates, tailgates, rear window, truck, hatch, tailgate assit, storage box and so on, etc.Fits Universal Lift Supports Struts.Extended Length: 9.76 InchesCompressed Length: 6.18 InchesForce: 60N=13.5Lbs.Shaft End Fitting: Eyelet Hole=10.2mm=13/32"=.402"Body End Fitting: Eyelet Hole=10.2mm=13/32"=.402"
Beneges Lift SupportsBeneges devotes itself to automotive aftermarket, exporting kinds of aotomotive parts to global markets. Beneges attaches much importance to products quality, strictly with raw materials selection, manufacturing process, qualified with QA and QC. Beneges lift supports meet OEM specifications, and also come to be cost-effective and conveniently practical. The lift supports(lift struts, dampers) can be placed at front hood, rear hood, liftgates, tailgates, rear window, truck, hatch, tailgate assit, storage box and so on, etc.Fits Universal Lift Supports Struts.Extended Length: 9.76 InchesCompressed Length: 6.18 InchesForce: 80N=18Lbs.Shaft End Fitting: Eyelet Hole=10.2mm=13/32"=.402"Body End Fitting: Eyelet Hole=10.2mm=13/32"=.402"
The OEMTOOLS Harmonic Balancer Puller is designed for use with Model GM 2000 Generation II, Cadillac (1988 and later), Chevrolet Trucks (2003 and later), Chrysler (1990 and later), Ford (1995 and later), and Mitsubishi Eclipse (1995)—designed for removing damper pulleys in tight engine compartments without removing the radiator. 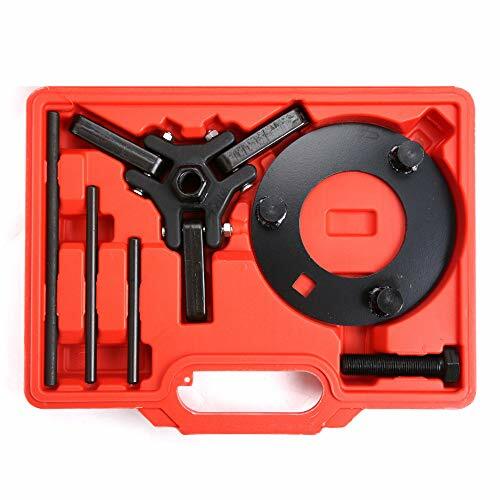 Includes 3 Jaw Puller, Forcing Rods (4 lengths included), and a Forcing Screw with a 3/8” square drive for ratchet use, and a ¾” hex for wrench or socket use. 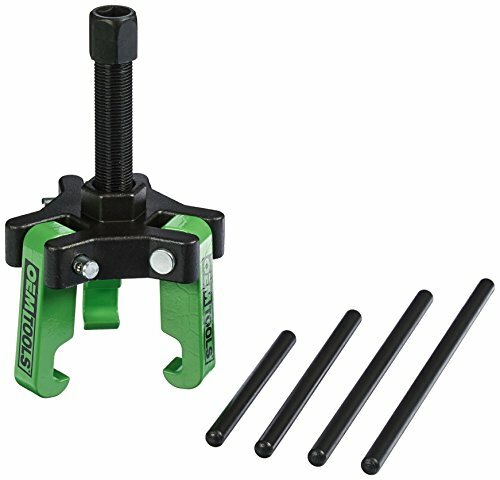 The OEMTOOLS Harmonic Balancer Puller includes unique tensioned jaws which makes for easy tool placement in tight quarters—a feature only found on the OEMTOOLS puller. Lectures aimed at engineering undergraduates. Presentation focuses on understanding key prinicples, processes and problem solving rather than mathematical rigour. 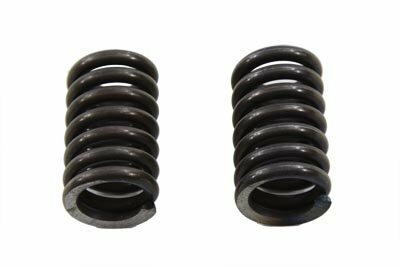 Derives the model representing spring-damper systems with a focus on parallel arrangements and some brief discussion of a series set up. 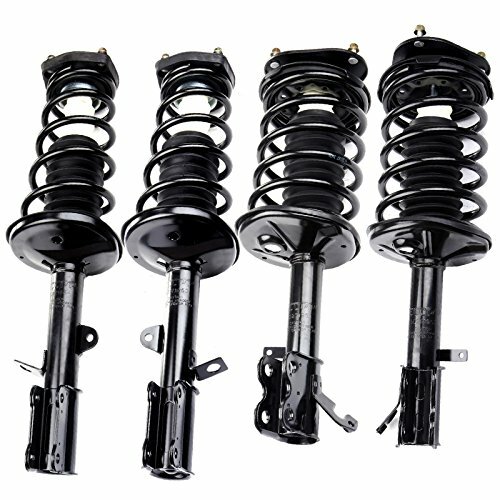 Want more Damper Spring Set similar ideas? Try to explore these searches: 1 Ounce Medicine Cups, Dmx Recorder, and Coral Tile Flooring.